Nothing says ‘Bucket List’ like a cruise in the Mediterranean! Blue seas, balmy winds, and Instagram-worthy ports of call. There are as many cruises to take as there are ports of call! Large ships are often more affordable and get you to the top destinations. Small ships may cover less ground (sea!) but allow for stops at out-of-the-way destinations. Whatever itinerary you choose will be filled with intensive touring days and a few sea days. Packing can be a challenge here. You’ll likely need ‘country club’ casual on-board, and appropriate touring outfits for your excursions. And beach wear! For most of us, this trip involves an overseas flight, with all the usual baggage restrictions. After our first Mediterranean cruise when my brother’s family’s luggage was lost in transit, (and we had to share our clothing until the bags caught up with the ship) we pack carry-on. Or at least carry on a bag with 2-3 days of outfits. Check with your airline before packing to see what you can check and what can be carried on-board. Before beginning your packing, think about your anticipated excursions. Visiting religious or sacred sites? You will need appropriate clothing – women may need to have their shoulders, knees and head covered. Some mosques and churches can issue you a robe and/or head covering, but there is no guarantee of cleanliness of these shared outfits… It’s easier to dress conservatively and carry a scarf. Hiking or exploring ancient ruins? Good footwear is a must! And wear a hat, the sun is intense in the Mediterranean. Snorkeling, kayaking or beaching it? Remember sunscreen! You can purchase this on the ship or ashore, but your particular brands might not be available. Again, wear a hat. Ecco Damara gladiator sandals are remarkably comfortable with a cushioned footbed, yet are elegant enough for dinner in a specialty restaurant. Chaco Outcross is an athletic shoe, but has the advantage of being waterproof. Think hiking or kayaking! Teva has a wide range of shoes that work for active traveling. I like the stylish Teva Tirra. Dave swears by his Tevas. Note: many ships do not allow men to wear sandals in the dining rooms. Bring a casual shoe just in case. Women: Pack a capsule wardrobe livened up with colorful scarves and one or two sundresses. (see our Capsule Wardrobe Guide) Don’t forget a light sweater for over air-conditioned dining rooms. Most ships offer laundry services but we carry Woolite packets to do some hand washing just in case. Pack merino wool items whenever possible to cut down on luggage volume, weight and necessary washing! Don’t underestimate the beauty or the architecture on this trip. We each carry a camera, with backup batteries. Exercise gear encouraged. There is usually a fitness room with an extraordinary view on every ship! 2. two pairs cropped pants. One pair is the Dressy Sweatpants from Encircled. These are great for the plane and convert to capris on the ship. 8. general tees and tops – those shown are cotton. I love the versatility, but now pack only merino wool tops. Merino wool is quick-drying, lightweight, and odor resistant. We recommend Icebreaker tops. 9. sweaters – we recommend Smartwool lightweight merino wool sweaters. 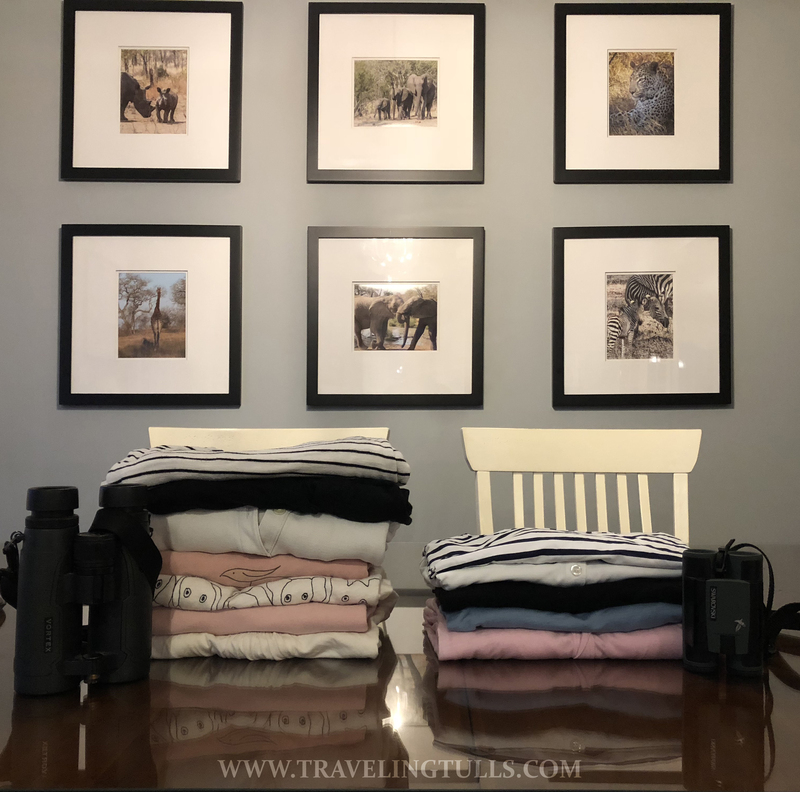 Posted on January 29, 2018 March 3, 2019 by TravelingTullsPosted in Greece, Journey Greece and Turkey, Journey Mediterranean Cruise, Packing Lists, Travel Clothing, Travel StyleTagged Aegean, cruising, darby mack, dream destinations, ecco shoes, Encircled, free packing list, Mediterranean cruise, packing guide, packing light, packing list, polyvore, style, Teva shoes.